Interrupting an intensely personal, deeply emotional film about sexual abuse with some organized thuggery would be embarrassingly crass and heavy-handed, but that is exactly what happened to Huang Ji’s film at the Beijing Independent Film Festival. Halfway through her screening, the power to the maverick-dissident fest was not so mysteriously cut. 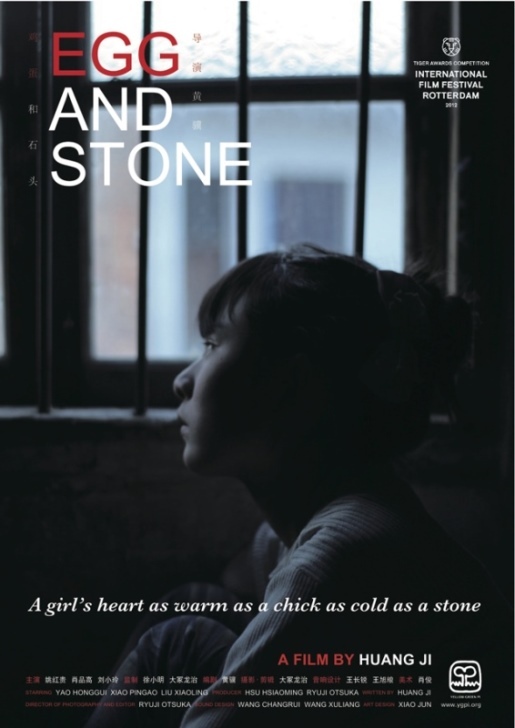 Inspired by her own unfortunate experiences, Huang Ji shines a spotlight on contemporary Chinese gender inequity in Egg and Stone (trailer here), which screens as part of Cinema on the Edge, the retrospective tribute to the Beijing Independent Film Festival. Honggui was only supposed to stay with her aunt and uncle for two years, but she has spent the last seven in their hardscrabble Hunan village. Her aunt clearly resents her continued presence, but her uncle is suspiciously fine with it. The fourteen year-old is indeed pregnant, putting her in a precarious position within the judgmental society. However, if she has a boy, it becomes a marketable commodity. For Honggui, life is profoundly complicated by two pernicious social dynamics, the illegal urban migration caused by extreme rural poverty and an intractable cultural preference for boys over girls. Of course, the Party is not eager to discuss any of this, particularly in light of their only slightly relaxed One Child policy. Still, Egg is far from an overtly political film, yet it is still one of the bravest films programmed during Cinema on the Edge. Huang Ji shot the film on location in the same provincial town where she herself was sexually abused by her uncle. She also has a different uncle play Honggui’s predatory guardian in Egg. There are powerful images in Egg, but the film’s preoccupation with menstrual blood becomes increasingly unsettling, in the wrong way. Frankly, it distracts from the viscerally honest performance of first-time thesp Yao Honggui as her namesake. She really looks like a barely teenaged girl who has had to grow up quicker than she should. Yet, despite everything Yao does to pull us into her heart and headspace, many of Huang Ji’s coldly severe stylistic choices push us away. 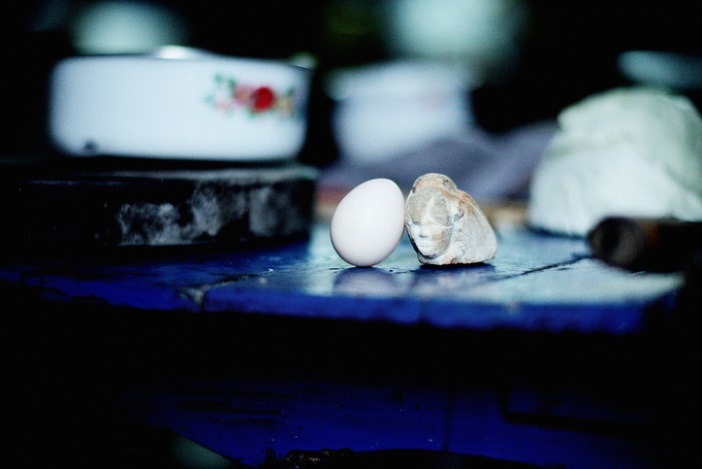 Egg and Stone is a challenging film in numerous ways. Arguably, it could very well be too oblique for its own good at times, but the film deserves an opportunity for viewers to fully process it. The Beijing Independent was precisely the right sort of venue for it, which is why it is so regrettably the festival could not indefinitely withstand the government’s pressure. At least adventurous patrons will have the opportunity to watch it uninterrupted when it screens this coming Monday (8/17) at the Made in NY Media Center, as part of Cinema on the Edge.